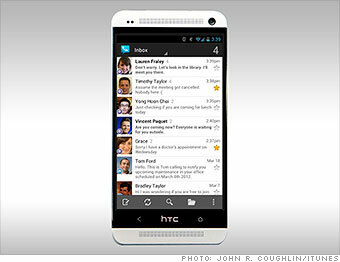 Google is expected to unveil the next version of Android next week. These 5 features could improve the operating system. A single messaging platform for all of Google's various services has been rumored for quite some time. Whatever it's going to be called -- Babel, Hangouts, whatever -- Google needs to round up all the different ways users can message one another and place them under one roof. And that service needs to be baked into the next major Android update. Whether in Gmail, Google Plus or Google Voice, you should be able to use one app to reach all your contacts. Regardless of what technology you use to reach a given person -- text message, IM or e-mail -- it should all look and feel like a single conversation.